The most stylish celebrity children | HELLO! Their wardrobes have tons of desirable designer togs, and their appearances are as closely followed as their parents'. 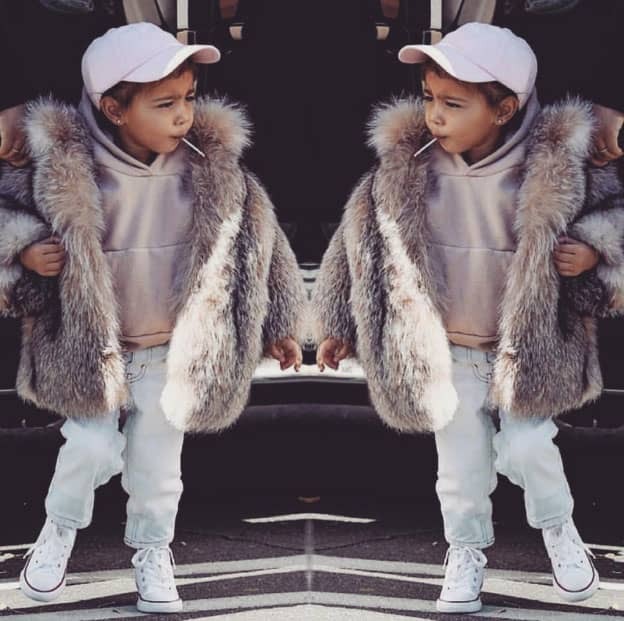 North West and Harper Beckham are the leaders of this new junior fashion pack. While the daughter of Kim Kardashian and Kanye West is very much about showing her 'swag' in Balmain, fur and chunky gold chains, Britain's little style queen Harper favours ladylike outfits of formal coats over pretty dresses. Among the royal families, Prince George and Princess Charlotte are the ones to watch, with their classic clothes selling out the moment they are seen by the public.